You may win a station contest only once per thirty (30) days. However, winning Contest “A” does NOT preclude you from playing and winning Contest “B”, “C” etc. Some contests require separate and unique rules. Prizes will only be held for 15 or 30 days or until the last business day before the event’s date (if applicable). Prizes may be collected during regular business hours at 961 Matley Lane, Suite 120 in Reno. Prizes are not normally mailed, but if special arrangements are made Reno Media Group is not responsible for misdirected or lost prizes. Replacement prizes will not be available. Reno Media Group assumes no liability due to circumstances beyond control; including but not limited to: prize provider going out of business or being sold, cancellation of an event, or out of stock/discontinued items. The winner is liable for taxes, tips or other miscellaneous charges associated with the prize. By participating in the contest, winner grants the station the rights to use his/her voice and/or likeness in promotions. All prizes involving reservations, i.e., airfare, hotel or other lodging, rental cars or other ground transportation, shows or side attractions, must be made by the contest winner (unless specified otherwise). Reno Media Group will provide winner with contact names, winner forms, tickets or ticket vouchers, etc. Some contests are shared with all the Reno Media Group stations. Reno Media Group reserves the right to cancel a contest at any time. Any and all rule changes will be announced, and written copies will be made available at our offices as soon as possible. Copies of all rules are available during business hours at our offices. These rules may be altered/changed at any time at the discretion of the station. Thank you for making 106.9 FM Northern Nevada’s favorite radio station for over 20 years. 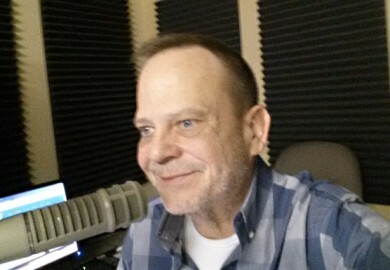 Originally known as “K-Reno”, in the mid-1990s KRNO adopted a focused mix of Adult Contemporary music and DJ presentation and changed its name to “Sunny 106.9”. Although that remains a key part of our identity as Reno’s “Sunny” radio station, in 2014 we increased the amount of music we play with 30-minute blocks of continuous music every workday. To highlight the change to a more music approach we adopted the additional nickname “More-FM.” So now you can call us More-FM or Sunny radio or just 106.9 – we answer to all of those! Our goal has always been to give our listeners MORE of what you like. We appreciate our heritage, cherish our listeners, and strive to keep you in a SUNNY mood and provide MORE of what you expect: “Feel-Good Music, with Less Talk” all day at work!